The Trust is delighted to have been chosen as the nominated Charity to be supported by the Heathfield Chamber of Commerce for 2018. The Trust has been a member of the Chamber for several years and is delighted to have been named as the beneficiary of their fundraising activities for the year. 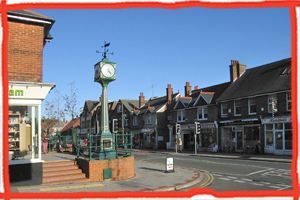 Heathfield Chamber’s aim is to foster a thriving business community that enables members to grow and develop their business. The Sussex-based Chamber’s year kicks off on 3rd may with a Charity fashion show on 3rd May. It will be held in the town’s State Hall and features fashion lines from a variety of local businesses. Tickets are £10 and full details can be found on our event page.